The small mobile phone company is emerging at a high speed in India. Maxx Mobile is a new phone company that is slowly taking shape in India and has brought out two distinct products from its satchel. These are supposed to be the best among the other phones that Maxx has launched so far. Maxx MSD7 is available in five elegant colours which are Purple, Yellow, Green, Orange and Black. The Maxx mobiles are well built with super technology that is one of the best things about the phone. The body of the phone is made up of good quality materials that can withstand small falls and breaks. It is a dauble SIM phone, which means you will carry two phones at the same time. In most of the phones, today dauble SIM s are found in the market and so it is one of the most wanted features in the phone. Innovative design is applied in the Maxx MSD7 Mobile, which are integrated with strategic research that is done by some genius minds of engineers, who do their best work to satisfy the demands of the present day customers and so for this reason there are many changes going on in the mechanisms of the mobiles that will help Maxx to stay in the competitive indigenous market where many other local companies are growing day by day. Though among the others Maxx has stated its strong presence with the good quality and easy working keys. The unique art of technology that is rendered in the form of exclusive design has made the mobile stand in the market with a good response from the customers, who have been using the Maxx product since the days it was born. This Candid set of Maxx is available in five different captivating colours like Purple, Black, Green, Orange and Yellow. The bar phone is made up of many wonderful features. Maxx MSD7 is enabled with a dual SIM with Dual standby ability. The broad 2.2 inches TFT display executes crystal clear images and texts because of fair resolution. It has a 1.3 MP Camera which allows you to captures all fair images that you want to store for lifetime. Not only this you will also get some other facilities MP3 Player with FM Radio. There are also facilities of video recording in which you can store all the favourite actions in your life. The phone has vibration, polyphonic and MP3 ringtones in it. It also opens a way to the world for you as it brings to you the bridge to communicate with all the important people when you need to for sending some urgent mails or messages. The mobile phone provides you with the services like MSN and Yahoo messengers. Games are there to make your boring hours full with joy. A powerful battery is packed within the phone that facilitates you with long hours of talking. There is a big storage area available in the phone so you can enjoy a good amount of entertainment with the Connectivities like the Bluetooth and USB present in the phone. The GPRS and WAP Brosers are also present in the phone. Established in January 2004, it has done a high performance in the mobile market in India. It also produces varieties of batteries and chargers. Maxx has created a distinct niche of itself in the country and is fast attracting consumers of the other countries like, South Africa, SAARC, Hong Kong and the Middle East Countries. It has a strong hold over the authenticity of the products that it produces and so it has been able to enhance its popularity in India, where especially products are driven by price before quality by the consumers. It enables you to access all the data that are Java based. 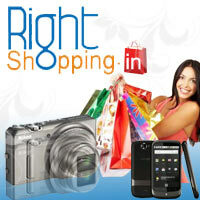 RightShopping.in is the perfect address where you will get an authentic Maxx product if you are searching so in India as it is a trustworthy site. If you want to know more about the product, then visit www.rightshopping.in/g/p_d.asp?pid=GD100009009&item=Maxx MSD7 Mobile Phone%20With 2GB Memory. Here you will get to know about all the specifications regarding the product. In order to buy it you can do the same by clicking the above link. You can get the product any of the major cities of India as we have branches throughout the country.